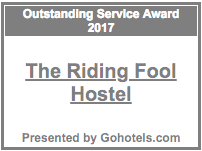 The things we’ve heard about the Riding Fool Hostel . . .